Miss Eco International 2018(?) or 2019(?) is just right around the corner as it commences on March 12th and we still have yet to see or hear an iota of Maureen Montagne on social media or on television. Is she still in Manila or is she stuck in Arizona? 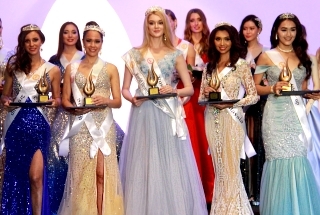 The Miss World Philippines organisation needs to promote their queens more in order to keep the momentum going and to maintain the popularity of our Philippine candidates. What is Arnold Vegafria doing for Maureen? Where on earth is Maureen? Where is the buzz for Maureen? Maureen's picture is absent on the Miss Eco International webpage. What the hell is the local organisation doing for Maureen's preparation for the pageant? I hope Maureen's quest for the crown will not wind up in the same situation like Alyssa's or Katarina's. A lot of pageant fans didn't even know that Kimi Mugford's competition at Miss Multinational 2018 was already over because there was no buzz created about her. To be honest, I forgot Kimi's face because Miss World Philippines failed to promote Kimi and the rest of the queens. 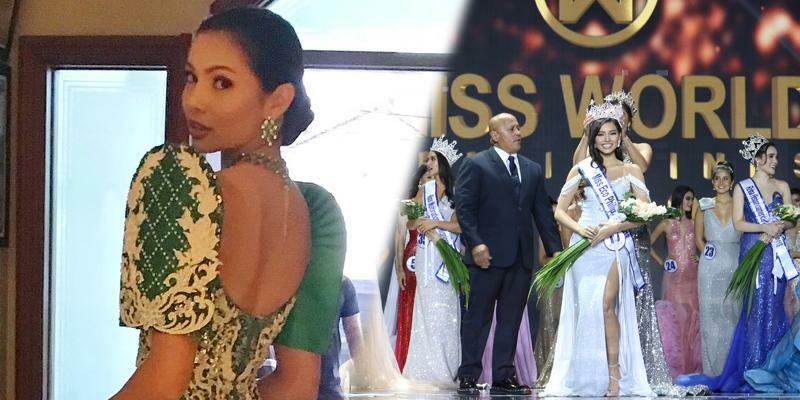 The Mutya ng Dabaw and Sinulog queens have had better exposures than the Miss World Philippines winners. Wake up, Miss World Philippines! Where the hell are your queens??!! Wake up, Mr. Vegafria! Tsk! Tsk! Last edited by mrgary on Fri Feb 08, 2019 11:56 am, edited 2 times in total. Re: WHERE IS MAUREEN MONTAGNE? Can't expect anything from the dumbest ND in the world. BitterBtwnNepalNPakistan wrote: Can't expect anything from the dumbest ND in the world. Arnold is as dumb as f**k, alright, and yet, he has the audacity to buy more franchises when he cannot even afford a single exposure for his queens except for the quick send-offs. Message: Live Love Laugh and kiss !!!! he should focus on how to be a resident judge in the most meritless pageant messworld. Yet his main girls clapped hard in the cooking show. MWO is only after his money. He was the one who got the MA Malaysia and Singapore NDs. His prize? 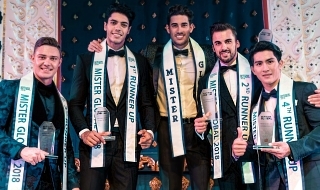 Judge at Miss World! For what??? Did it add value to his portfolio??? BIG NO!!! In her recent IG posts, the locations are everywhere in Manila. This is one of her post about her upcoming International Competition. BTW, she shouldve been World Philippines 2018. Im not expecting much from the pageant she is about to join nor am I excited to the current status of organization behind MWPH. 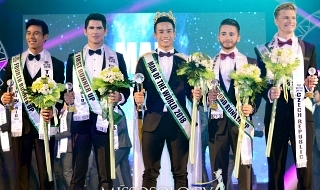 SA KASAGSAGAN NG MULTIMEDIA NG MW2018, NAGPOST YUNG OFFICIAL MISS WORLD-PHILIPPINES PAGE NA DAPAT SI KATARINA ANG MAY HAWAK AT MUKHANG NAGSASALITA. YUNG PINOST NG BOBO IS KINONGRATULATE SI KATARINA FOR MAKING THE TOP 32 IN TOP MODEL. kurtij wrote: In her recent IG posts, the locations are everywhere in Manila. A total waste of a Miss Universe calibre queen to a useless pageant. So that she would have been the one clapping instead of Katarina Rodriguez? He's so dumb to waste his money on a cooking show that has zero integrity and that merely EXPLOITS The Philippines' presence, so that the master chef could make a mockery of the country by giving the poor, low IQ hopeful girl representing the Philippines a low or a non-placement at the scamfest. DUH. It's more on, she could've done better than Katarina. LEAVE ARNOLD VIAGRAFRIA ALONE.. SHE IS BUSY GULLIVANTING WITH YOUNG BOYS. AND TO THINK HE IS REPRESENTING GABRIELA ISLER HERE IN THE PHILIPPINES. POOR GABRIELA SHE DOESNT KNOW HOW STUPID THIS BOTOX VIAGRAFRIA IS.. OH AYAN WHAT HAPPENED TO MR. WORLD. KAHIT NILOLOKO NA SYA NI JULIA SIGI PARIN.. AND DONT TELL ME MISS VIAGRAFRIA HAS A LOT OF MONEY... HE OWES A LOT OF MONEY TO THE OLD QUEEN BEN CHAN NA KASABWAT NYA SA PANGHAHALA NG MGA LALAKWE.. SANA HINALA NA LONG NILA SI ILONG RANGER AT BESSIE CLAVIO BESSINA DI MASAYA SILA.. HALA BIRA! Someone better tell Maureen that Miss Eco Intl is a rip off of Miss Earth and that the owner of the pageant is a corrupt, greedy and ugly Egyptian woman who hates black people. Pageants are alive because of fans. Period. Maybe, this username holds the DUMBEST MISSOSSOLOGIST ahihihi! MAUREEN COULD HAVE SAVED PHILIPPINES FROM THE EMBARRASSMENT THAT WAS TIRED, REALITY SHOW, MINOR PAGEANT RUNNER UP KATARINA RODRIGUEZ. LOL. ALMOST EVERY MAJOR ASIAN COUNTRY PLACED IN MW 2018. MAUREEN SHOULD HAVE STAYED IN THE USA FOR THE MWA CASTING. the critic wrote: MAUREEN COULD HAVE SAVED PHILIPPINES FROM THE EMBARRASSMENT THAT WAS TIRED, REALITY SHOW, MINOR PAGEANT RUNNER UP KATARINA RODRIGUEZ. LOL. ALMOST EVERY MAJOR ASIAN COUNTRY PLACED IN MW 2018. She should've just tried her luck again in Miss World America after her fate in Miss World Philippines 2018. Though we must respect her choice, as she keep saying in local Philippine TV interviews that, that she really wanted to represent the Philippines, because she is extremely proud of her roots. Just let her do what she want. Last edited by kurtij on Wed Feb 13, 2019 2:13 am, edited 1 time in total. Dear ..just Save your sinking .. Miss World.. The world and Universe are already aware how your fave pageant operates.. Even if we'll send great girls like Cat..she would still end up clapping..knowing that the Winner had already been predetermined even before the pageant starts ..so STFU.. Enough Fooling yourself..